For many of the faculty and students, their testimonials speak to blossoming professional and personal relationships with other bankers across the US and Mexico, to the power of laser-focused banking education, and to the implementation of learned methodologies once back at their home banks. But don’t let us steal their thunder. Check out their advice in our 2-minute video below. 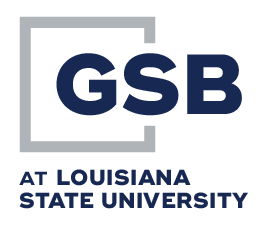 It’s no surprise that the faculty of GSBLSU are the most valuable asset of the school. We managed to collect several of our prestigous faculty in our recent session. In this brief video, they discuss their sentiments on the value of the curriculm and education garners from a student’s three years at GSBLSU and the reasons banks should consider cultivating their junior bankers with attendance at GSBLSU. There are countless benefits to the program, but this perspective on those perks is that of our professors. Since 2002, Mexican students have been attending GSBLSU and in the 2018 session, GSBLSU graduated 16 students from Mexico. Many of the students have numerous questions on the school and how it might benefit them. We have created a short, 2 minute video, in Spanish, that might answer some of the questions or speak to the concerns of our Mexican contingent of students.